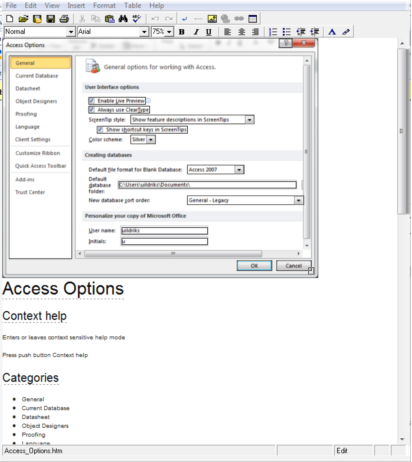 The example below is the Access Options Form captured with Help Screen Capture. What you see is the resulting HTML page which is usable as a start for further editing. Generate Document to generate individual topic pages. Alternatively, scan and generate help topics from the application sources in one go using the Help Generator add-in.